Country fans, are you ready for Jason Aldean?? The “You Make It Easy,” singer is on tour in 2019 with the Ride All Night tour with support from Kane Brown!! This epic show hits the Hollywood Casino Ampitheatre on Friday 27th September 2019 – don’t miss it!! Tickets are on sale NOW – grab ‘em while they last!! Since 2005, Jason Aldean has been delighting country lovers around the world with a succession of high-energy hits and mould-breaking albums. Out of all of his singles, an astonishing 19 have hit the No.1 spot on either the Hot Country Songs or Country Airplay charts, including “Truth,” “Big Green Tractor,” “Tonight Looks Good On You,” “Lights Come On,” “When She Says Baby,” and most recently, “Drowns The Whiskey,” a collaboration with fellow country star Miranda Lambert. That’s what fans love him for!! 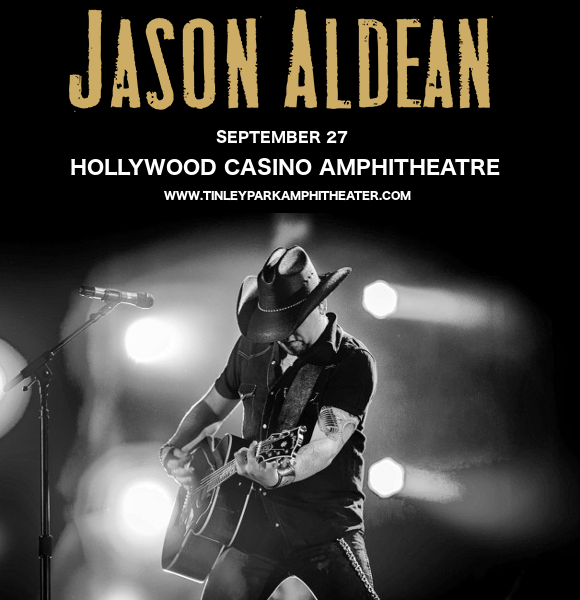 Get ready to hear all the new songs and shake things up with Jason Aldean LIVE – make sure you’ve got your tickets ready! !